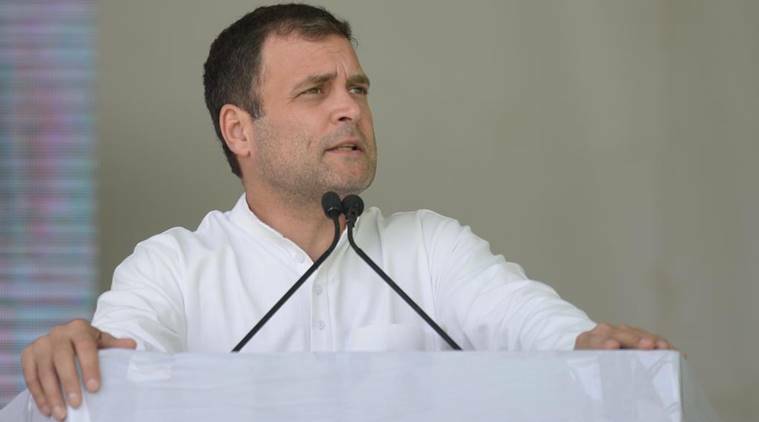 Hyderabad: The TDP, CPI and TJS are throwing their weight behind the Congress in the Lok Sabha elections in Telangana, giving the Rahul Gandhi-led party some extra muscle to take on the battle-ready Telangana Rashtra Samiti (TRS). These parties were part of the Congress-led “Prajakutami” (People’s Front) in the assembly elections in December last year but, there is no formal alliance for the April 11 Lok Sabha polls among them. The Congress is now contesting all the 17 Lok Sabha seats. The Telugu Desam Party (TDP), led by Andhra Pradesh Chief Minister N Chandrababu Naidu, has decided not to contest in Telangana. “We are against the TRS and BJP”, TDP spokesperson Nellore Durga Prasad told PTI. The TDP would extend support to any leading party fighting against the TRS and BJP in the constituencies, Prasad said, hinting that his party would back the Congress. The Telangana Jana Samiti (TJS) President Prof. M Kodandaram said his party has fielded candidates in three segments — Mahbubabad, Khammam and Hyderabad — and would support the Congress nominees in the remaining 14 seats. The CPI and CPI-M have inked a seat-sharing agreement over four seats. Accordingly, the CPI would contest from Mahbubabad and Bhongir, and the CPI-M from Khammam and Nalgonda. “In the remaining seats, we will support the Congress party which can defeat the TRS-BJP in the constituencies. If there are any other Left candidate, we will consider about it”, the CPI General Secretary S Sudhakar Reddy said. Kodandaram, meanwhile, said the “form” of Prajakutami has changed but the alliance continues. “On issues, we work together, we support each other whereever there is no conflict of interest. That’s the general idea. Therefore, we are able to continue the alliance”, Kodandaram told PTI. In the assembly elections, the Congress had bagged 19 seats and the TDP two, while the CPI and TJS drew a blank. The TRS was swept back to power with a rich haul of 88 seats in the 119-member House.